Every week, a different FADER editor compiles a playlist to highlight a new release and give you a guide to that artist’s web of influences and peers. 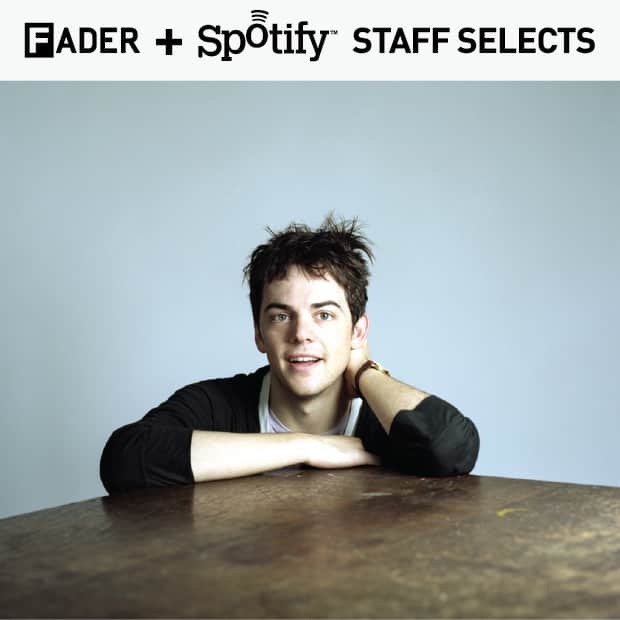 These Staff Selects live in our Spotify app, alongside GEN Fs from our archives and playlists for each issue. This week, it's Duncan Cooper on Nico Muhly. Last winter, before Nico Muhly partnered with classically-trained piano players and violinists for a trilogy of spare EPs inspired by drone music, he scored the strings on a track for quite the different audience: Usher's "Climax." Muhly, a prolific young composer and former assistant to Philip Glass, has carved a remarkable lane for himself where he can collaborate with pop and indie musicians on one side—he's worked extensively with Passion Pit, Grizzly Bear and Antony and the Johnsons—while still churning out heady, considered neoclassical compositions of his own, like an opera premiering next year at the Met in New York. Here you'll find gems from both sides of Muhly's brain, which maybe aren't so far apart as they seem, as well as arrangements by affiliates of his label Bedroom Community, like label co-founder Valgeir Sigurðsson's arrangements for Feist and CocoRosie, and Ben Frost's work with I/O. Jump straight to the playlist here, or listen in The FADER Spotify app.